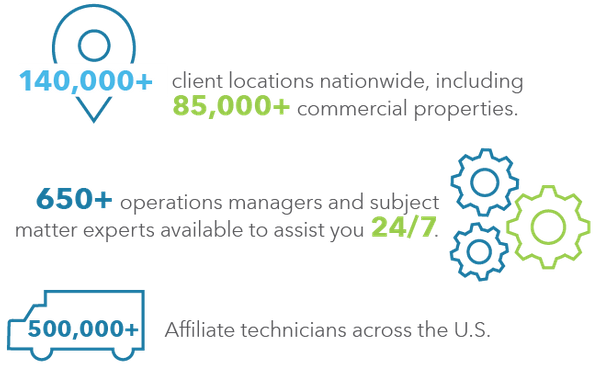 Through our robust technology and unparalleled market density, SMS Assist will standardize your approach to facilities maintenance and provide you and your employees with a simple, turnkey process to handle every issue, while also lowering your overall cost of management. Drive strong returns on your brand investment with SMS Assist. Reach out for more information on how we can take your facilities maintenance program from reactive to proactive to strategic. © 2019 SMS Assist. All Rights Reserved.